There are many Benefits to updating your unit! 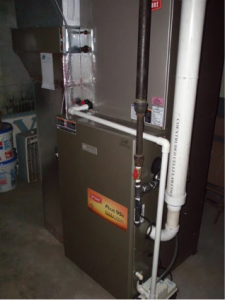 In this particular job, a church located in Indianapolis, needed to update to a new furnace. Their old furnace was loud and noisy, causing irritations and distraction throughout the church. The unit is a much more efficient unit, saves space as far as the overall square footage of space used up by the furnace, and best of all, a larger capacity in a smaller package. 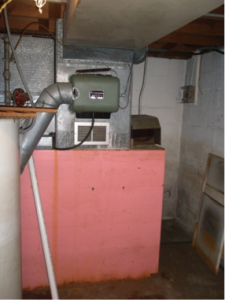 After the replacement had been made, the furnace was substantially quieter than the old one. After the church upgraded to the new Bryant system, they immediately noticed how efficient the unit was, which in turn, allowed them to afford the monthly utility bills going forward. The system is a Bryant system that is a 95% efficient gas furnace with a 16.0 SEER rated heat pump. The system is actually a Hybrid system, which means it is a heat pump with a gas furnace, the best of both worlds! For more information on how you can upgrade your furnace to a more efficient unit, call us at 317.888.9111 for a free estimate.